Melissa Veregin(Left) and Tyler Sealey(right) are Financial Services Specialists for Abbotsford Auto Loan. You have questions and we have answers. Learn about auto financing from our industry experts. With many years of experience in finance and the automotive industry we have the answers to all the questions you want to ask. Check back often for more questions and answers. With loan shopping, you might feel you are the only one on the spot, but that’s not true. Just as much as lenders are looking at you, you are interviewing them. What supporting documentation do I need? Do you require me to purchase a vehicle through a licensed dealership? How long will our process take? What factor will my credit rating have? What should my down payment be? Do you require a set amount? Over the course of the loan, how much interest would I end up paying? What would my monthly payments be and for how long? At the end of my term, will a lump sum payment (typically a larger final payment) come due? Can I lock in on the quoted rates/points? Is there a fee to lock in? A lot of people ask us what the minimum requirements are to get approved for auto financing. Here are some tips and tricks on the recommended requirements to get approved for a car loan. Typically, the minimum approval requirements are that you make a minimum of $1800 per month and a minimum of 3 months on the job. This monthly income is the full amount before any deductions or taxes are taken off by your employer (ie. tax, CPP, EI, etc). A recent paystub is required no later than 30 days showing deductions and year to date earnings. All self-employed/sub-contractors must be in business long enough to be able to supply 2 years’ worth Notice of Assessments, and business license or GST Return (if you are a sub-contractor). Hourly: At least $10.50 per hour for 40 hours per week, or equivalent. Tip: If you are married and happen to fall short of the minimal income requirement, it is best to submit your spouse’s information as a co-buyer because your two incomes can be combined. You must hold a valid driver’s license. In some cases this can be a learner’s license, but that is not always the case. An applicant must be 19 years of age or older to be approved for an auto finance agreement in British Columbia. If you are trading-in a vehicle, having the right documents for your trade-in is vital. You should have the title and registration papers for your vehicle, and any other vital documents that will prove ownership and help us determine the worth of the vehicle. 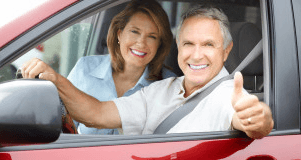 By having these documents readily available when you apply for a car loan, you can ensure the availability of quick car loans easily and without any undue hassle or stress. If you’re a first time car shopper or have a poor credit history, make sure that you look for a car that fits within your budget. A lot of car buyers will bite off more than they can chew and end up paying too much in monthly payments. Apply now through Abbotsford Auto Loans and let’s get started! What Monthly Payment can you afford? When you are buying a new or used vehicle it is very important that you do not financially overextend yourself. If you have a low bureau score, one of the best ways to raise it is to obtain financing and make the monthly payments on time. Lenders have formulas to calculate the maximum allowable payment. Following, is a general rule to keep in mind to make sure you do not overextend yourself. First, divide your income by 2. If you make $3,000 per month that would leave you with $1,500 disposable income. From your disposable income, subtract any monthly payments that you currently have. For example: rent, telephone, utility bills, and vehicle insurance. Note that depending on your age, where you live, and the vehicle you select, the insurance payment may be high. We have come up with some tips or pointers on what to do, or not do, when getting a car loan with bad credit. Possible information needed may include copies of pay stubs, current bills showing present balances and other documentation that verifies your finances. Being prepared with this type of information can make the process to a car loan quicker. The biggest deal killer is when the car loan lender is lied to. In fact, the 1% we turn down is usually when we encounter a customer who fabricates the facts. This is not how to get a car loan with bad credit. We all make mistakes and a lender appreciates the truth when you apply to get a car loan with bad credit. Before applying to get a car loan with bad credit, figure out your budget and be realistic about what you can afford. Having a budget lets the car loan lender know what your comfort zone is. There is no benefit to anyone if you buy a car and cant afford the car loan. For some people with bad credit, a car loan will enable them to make additional income or revenue. This is one of the best reasons to get a car loan. If applicable, be sure to mention this when you apply to get a car loan. Use supporting financial information to strengthen your chances of getting better loan rates. If a car loan means you can make more money, a To Whom it may concern letter from your employer along with a ballpark figure on the revenue increase anticipated will help your cause. Something like this shows you are organized and a lower risk; a good example of how to get a car loan with bad credit. Welcome to our new Facebook page! Be sure to check back for blog updates and information about Auto Loans and Finance from our Experts. 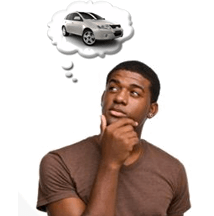 Ask us about sub prime auto loans: How do I know if I qualify for a sub prime auto loan? The easiest way to find out if you qualify is to give us a call or follow the directions to our secure online credit application. When we have received your application, we will call you to confirm we have received it and discuss the possible options. If we are unable to qualify you, we will consult with you on your credit bureau and give you ideas on how you can rebuild your credit, even with your previous challenges. These loans are usually automotive loans or mortgages where the vehicle or home can be used as collateral. Interest rates are generally higher then prime loans and there may be more conditions on the loan. What interest rate can I expect to pay? Interest rates are determined by the actual lenders and are influenced by several factors; including the severity of credit problems, the amount of down payment, the vehicle age, employment stability and the degree of credit risk. We will explain these factors, and tell you exactly what your interest rate will be after having received your car loan request.